Phil Lucas produced, directed, shot and edited literally hundreds of films about native people. Phil’s work covered indigenous issues from a native perspective not seen before on television. His landmark PBS series Images of Indians deconstructed American Indian screen myths. For the Honor of All was the powerful true story of sobriety in a Canadian aboriginal community. 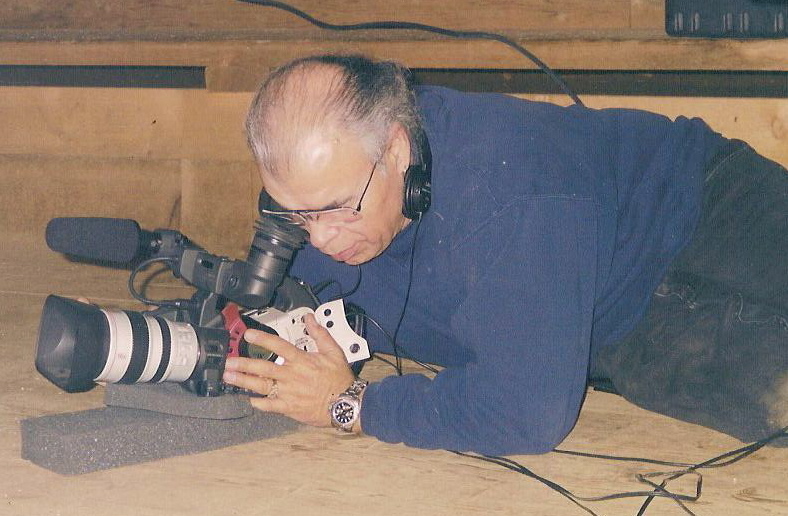 Phil directed Storytellers of the Pacific, the first international TV series linking native people in Guam, Samoa, Hawaii, Alaska, USA, Canada and Mexico. One of his last projects was Vis a Vis: Native Tongues, hooking up native artists in Australia and America. Phil’s films screened at festivals around the world including Cannes and Sundance. He mentored a generation of young filmmakers in workshops, college courses and on his productions. Phil Lucas died in Bellevue, Washington on Feb 4 after a long struggle with heart disease. He was devout Baha’i who had been sober for many decades. His five children are also artists and filmmakers. I wrote a review of Phil’s work back in 2003. You can find it in the journal World Order (vol. 35, no. 1). Upon reading my review, he said that he was happy that someone “got it.” As I noted there, Phil’s work stands singularly as a model for native filmmakers. He developed a large collection of projects, many of which are standard tools in the sensitizing and educating of non-natives about native communities. Additionally, his (in my opinion) best work, Healing the Hurts, should be in the library or community center of every indigenous community for what it has to offer those wanting to heal from post-colonial stress disorder. I never met Phil, but I remain a loyal fan. Ia manuia lava lou malaga, Phil ! We miss you Phil. You blazed a trail that many will follow. Rest easy old friend. Your memory lives in our hearts. Phil was one of the most generous and kind-hearted people I’ve ever known. He was never judgmental, was always laughing and played beautiful guitar and sang his own wonderful songs with such passion. I only wish I had appreciated him more while he was still around, I miss him dearly, one of the best. See you on the other side Phil. I am sorry that I heard about Phil’s passing so late. He was one of the most generous souls I’ve ever had the pleasure of knowing. There wasn’t any phase of film-making that Phil wasn’t accomplished. He taught me without holding back. He was THE KEY in my obtaining initial funding for my FIRST documentary film – “Fire Warriors” (produced with Darren Kipp). Phil not only helped me to narrow my focus, but he guided me in the writing and development of the film treatment. My favorite memory of Phil Lucas was at the screening of the “Allan Houser/Haozous: The Lifetime Work of an American Master” at the Red Earth Film Festival in ’98 or ’99. Phil and I had met there to work on “Fire Warriors” while he was going to be there for the Allan Haozouz film. WHile he watched his cholesterol intake, he was not above a bit of mischief. At the dinner/screening, Phil was sitting at a the elevated “VIP” table. At one point, I felt sugar packets flying across my dinner plate, and over my head. WHen one FINALLY hit me in the head, I looked back to see Phil Lucas’ big, devilish smile – then he broke into a big laugh. I am sorry that he was not the director of “Fire Warriors”. I will ALWAYS regret that. All my best to Phil’s family – his wife and kids whom he loved. I just discovered Phil’s death after reading a press release for a film about native civil rights in Alaska. I am shocked and saddened at such a loss. I worked with Phil doing sound in 1980 on “Haa Shagoon” a film documenting a Tlinget potlach ceremony. Phil did camera on this Joe Kawaky film. Everyone enjoyed working with Phil. We had a lot of fun. The filmmaking world lost someone great. My thoughts to his family. Dear Kate — Just to clarify the record — it was Phil Cook, not Phil Lucas, that was a cameraman on my Chilkoot Tlingit documentary film Haa Shagoon. I never had the pleasure of meeting Mr. Lucas — wish I had. I am an old friend of Joe and Rose’s. (I fell like perhaps you and I have met…?) I am trying to get in touch with them and have no current contact info. Old phones and email addresses don’t work. Any leads on how to contact them? ?